This entry was posted on July 5, 2010 at 1:34 pm and is filed under In the News, Planck, Science. You can follow any responses to this entry through the RSS 2.0 feed. You can leave a response, or trackback from your own site. What are the implications of these results for the previously release CMB temperature fluctuation maps? This looks like a much more serious foreground contamination that I had previously assumed was subtracted or is there some foolproof Doppler analysis or something that removes it completely? 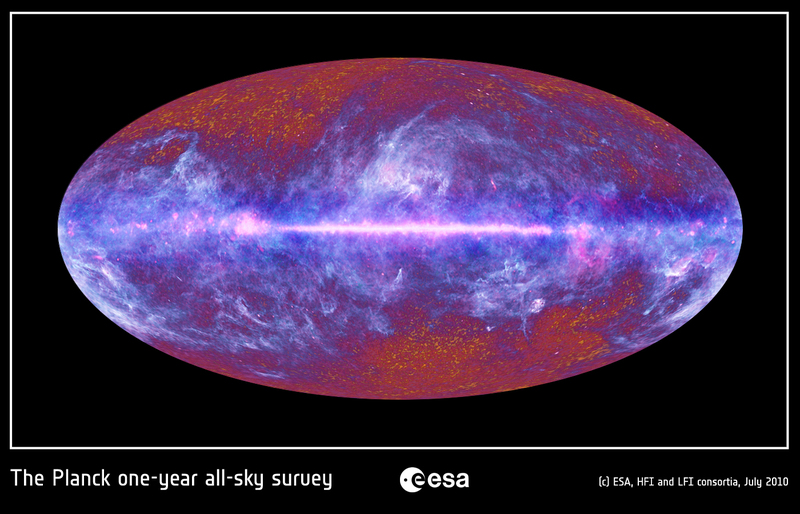 Planck’s actually working over a much wider range of frequencies and to much higher frequencies than previous CMB missions which means it can detect strongly and better remove the contamination from the bands dominated by the CMB. The Blue/white colouring you see in these images is that warmer foreground emission that has been largely unaccounted for in previous work. 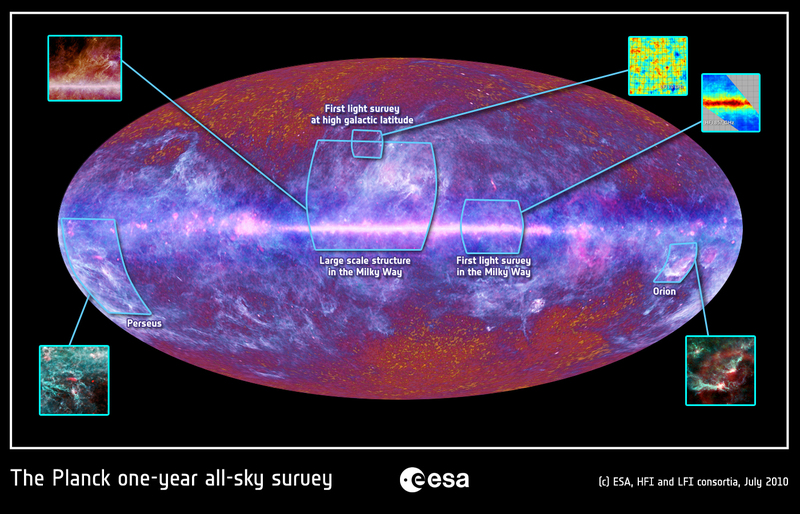 There’s a lot more for us on Planck to do to remove things like this but when we’ve done it the results will be much better than before.